Josemaría Escrivá, priest and founder of Opus Dei, spread the universal call to holiness. He preached: "Your ordinary contact with God takes place where your fellow men, your yearnings, your work and your affections are. There you have your daily encounter with Christ." 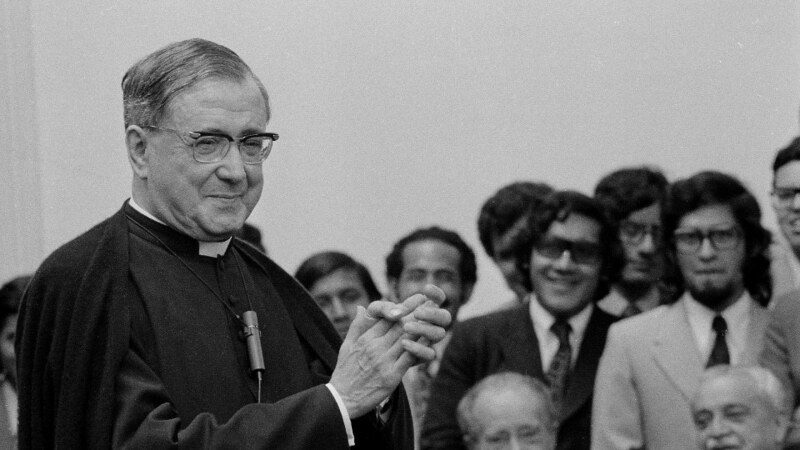 This 7-minute video describes the life of Saint Josemaría Escrivá, who spread the call to holiness in daily life and was called the "saint of the ordinary" by John Paul II. "We have to be contemplative souls in the middle of the world, who strive to turn our work into prayer," he often said. "Married people, single people, workers, intellectuals, farmers... right where they are can and should be good children of God." This free App enables Saint Josemaría’s writings to lead you into the Gospel passage of today’s Mass, every day. The author of the App explains what led her to produce it and how it works. Smyczek: "I carry 'The Way' and 'The Forge' around with me"
Cardinal Dolan on June 26th: "All of us are called to holiness"
O'Malley: "The vocation of the saints changes history"
Christians have always had recourse to the intercession of saints: their example shows us that it is possible to grow in holiness, and their prayer before God can be especially helpful in times of need. You can visit Saint Josemaria's tomb in Rome at Our Lady of Peace, Prelatic Church of Opus Dei.